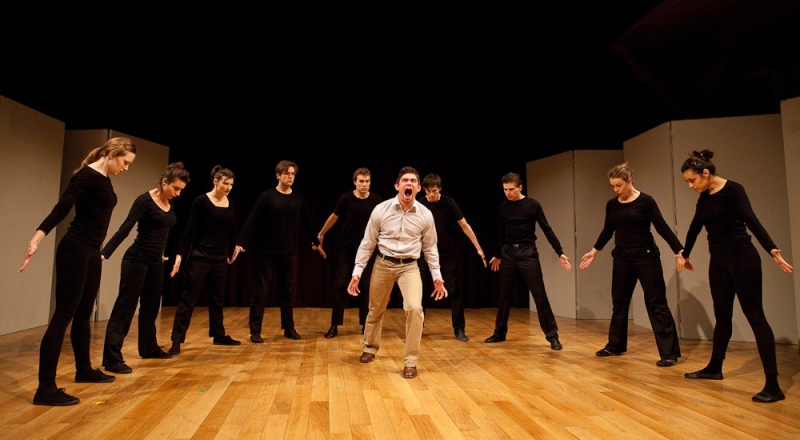 I recently attended a weekend workshop with LISPA, the London International School of Performing Arts (based in London and Berlin). 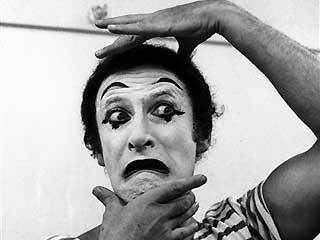 I knew the school focussed on physical theatre, after the work of Jacques Lecoq at his school in Paris, but didn’t realise how relevant the focus would be to be my own interest in masks, clowning, mime, puppetry and the expression of the unknown, the unseen. We don’t always think of the links between clowning and acting and we tend to brush off the term ‘clowning around’ thinking of it as just silliness but you don’t have to look far to see how clowning can work hand-in-hand with acting. Sacha Baron Cohen, Simon MacBurney (Director of Complicite Theatre Company), Emma Thompson, Geoffrey Rush and Kathryn Hunter trained under Philippe Gaulier who was a student and teacher at Lecoq’s school in the 1960’s and 70’s and is known for his ‘Inverted Clown’, where a balance is struck between grotesqueness and charm. Gaulier was interested in the pupil finding a ‘wonderful spirit’, rather than teaching a ‘style’. (Just as Tom Stoppard, according to actor Joseph Fiennes, says ‘imagination will take you to a greater truth than academia.’) He popularised the ‘buffoon’ genre of 1960’s theatre – during festivals, the ‘ugly people’ (buffoons) would entertain the ‘beautiful people’. These beautiful people were often part of the Government or Church. The idea was to make the ‘beautiful people’ think, and realise their lives were meaningless. There is a slight irony here in that the acting world (at least Hollywood) tends to favour more commercially good looking people. But if we think about what really makes a good actor, we’re attracted to the ones who portray truth more than how beautiful they are. Speaking personally as someone who performs, it’s difficult to be truthful and beautiful as those two things mean different things to different people – and truthfulness is unfortunately less valued than looking beautiful in this society. However in opposition to this, in a recent interview with film director Harry Macqueen on his film Hinterland (opening February 2015), Macqueen talks about the importance of truth and honesty to him saying ‘this ‘truth’ lies in the spaces between words – the unnoticed glances and mutual experiences, as well as the tacit acknowledgement of the things that cannot be said…’ Later I will talk about how mask plays a part in taking this further. Philosophically speaking, truth, beauty and ‘goodness’ are all inherently linked but that’s a subject in itself. The programme at LISPA itself, integrates relevant elements from the Junguian concept for personal growth and additional body-movement-performance based practices. 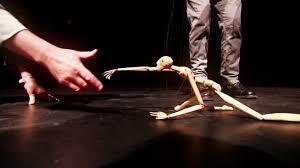 The type of physical theatre I explored was very much rooted ‘in the body’ and asks the actor to think about resonance with an object, or a person (or just something – for example a colour), and once that resonance has been activated, to then embody that ‘other’ (the object, person, colour). I found this a very useful way in to truthfully portraying something outside myself, whilst using what I have within me. Lecoq and Gaulier theatre is about the actor finding the most successful performance outcome for themselves by rejecting technique, and that acting is ‘play’ which creates a rapport with the audience by speaking to their imagination. You only have to see a few pictures on the Lecoq School’s website to understand this. Wearing the Neutral Masks that LISPA provided made me feel bigger than I am – by that I mean I felt my own presence. I felt more alive and comfortable in my own skin, maybe because I wasn’t showing my own face – which looking back, in fact is rather unsettling. The course says it is for artists, actors, dancers, educators, healers, therapists and human beings. The mask forms a dialogue with the person wearing it, as well as those watching it being worn. An inner dialogue is formed which tells a story between the conscious and the unconscious. My movement and expression in the mask became more defined – it is what the school calls ‘staging the shadow’ – as myself I don’t live certain elements of myself because of constraints or expectations of society, work, friends, family – the conditions that govern my life. In the mask, my shadow surfaces. People recognise that they need to integrate the shadow into their personal and collective lives. Movement, theatre and performance are some of the most direct ways to unearth the Unlived – the body, play and imagination are pathways into the anarchic vitality which are there in us as children but get covered as we grow. 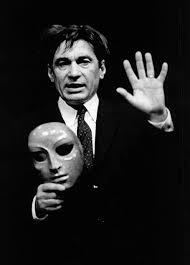 The paradox is that uncovering them is done via this mask. The art of clowning I learnt comes from picking up on the little details about life (how we walk, how we hold our head etc) and then blowing these up into a chaotic act. To celebrate the strange, the untamed and sublime and find your own clown, the buffoon (via the Grotesque mask – moving on from the Neutral) which you become, announces the arrival of the Fantastical and Mystery. Prattki calls this ‘the untamed Other within yourself who deeply enjoys failing, falling and the chaotic and unpredictable nature of life. Contact with your clown shadow will enrich your creative potential and unearth the pleasure of being truly stupid.‘ We find we develop the dialogue between our shadow and conscious mind, between chaos and form. You find who you are via ‘the other’ – though ‘the other’ is more you than you know, since you are simply making visible the Invisible. Philipp Schaeffer is a professional clown, actor, TaKeTiNa Ryhtym teacher and alumni of Lecoq, and says ‘Rhythm is my tool as a clown and as a teacher in order to create space…there is no need to learn a new instrument, since you are your instrument. You will find out how to play it in the best possible way.’ Many times on the course, we were told to give ourselves permission to ‘be’.